CEI, makers of the CFD postprocessor EnSight, are running a survey to “gauge the FEA postprocessing competition” with the goal of improving EnSight for use with FEA. The survey runs through 26 February and a grand prize drawing will be held for an iPad Mini. Total pressure and shear stress in an aneursym. CFD solution by Fluent. Image from Nanduri et al. The dezignstuff blog says that “CAD needs to rise to the challenge of the geometrical future, and stop hiding behind IT silliness” and the way to do so is to a) blend subdivision and NURBS surface modeling and b) use more direct editing. It’s a compelling argument. ANSYS won themselves another award – the Design Vision award for modeling and simulation tools. Beta CAE and SpaceClaim are collaborating. There’s an opening for a Senior CFD Thermodynamics Engineer in Detroit. Remember the video a while back about dropping a red-hot ball of nickel into water? 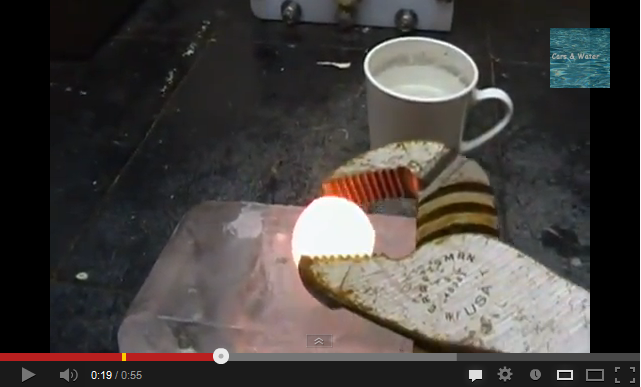 Here’s a variation on that theme: dropping a red-hot ball of nickel onto a block of ice. First, where are they getting all this nickel? Second, I’ll ruin the surprise for you – the ice melts. 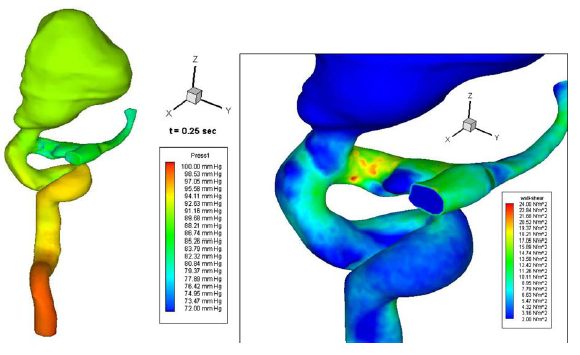 This entry was posted in Applications, News and tagged ANSA, ANSYS, Beta CAE, CAD, CEI, CONVERGE CFD, EnSight, SpaceClaim. Bookmark the permalink.